Primary economic indicators are all down, the Central Bank said yesterday in its quarterly monetary policy announcement, as growth has slackened and inflation remains “sluggish” because of weak domestic demand. After a bump in economic activity late last year and into the first half of 2018, spurred by BPTT’s Juniper and other energy projects coming on stream, growth has slowed, the bank said. Following a “positive out turn in the first half of 2018,” the bank said production indicators in the third quarter showed declines. The year-on-year increase in natural gas production waned and several natural gas facilities shut down for maintenance within that three-month period. Crude oil production slipped and methanol output was also down because of repair work to plants. The bank also said that preliminary non-energy indicators were also lower in the third quarter for 2018 compared to the same period last year, particularly construction and distribution. Inflation remained steady and low at just one per cent, compared to the same period last year, with food prices contracting and core inflation (minus food) holding steady. While prices for certain fresh vegetables increased because of the late October/November floods, these were offset by lower prices for dried veggies, fruits and meat. The $1 per litre increase in super gasoline from October caused only a small rise in general transportation costs to date, the bank said. “Throughout 2018 domestic inflationary impulses have been very muted in the context of sluggish demand,” the bank said. The bank’s decision to raise interest rates in June to mitigate widening negative differentials between TT and US-denominated treasury bonds also appears to have not had the desired effect, as the bank said in its monetary policy announcement yesterday that the gap is increasing. The interest rate differential in June was -74 basis points but that has increased to -89 to -112 basis points (one basis point is equal to 0.01 per cent), meaning the rate of return for TT treasury bonds is even less attractive compared to US treasury bonds. The widening gap could lead to local investors preferring to invest in the foreign bond market versus the local. Just last month, the US Federal Reserve raised its interest rates, from a range of 2.0 to 2.25 per cent to 2.25 to 2.5 per cent. The Central Bank raised the repo rate in June in a bid to narrow the differential and make TT treasury bonds more attractive, but prevailing “sluggish” economic conditions have led them to hold rates steady despite rising US interest rates. Since the repo rate is effectively the interest rate commercial banks pay the Central Bank for storing excess funds overnight, any repo rate increase almost always results in commercial lending rates going up. Less than a month after the repo rate announcement, commercial banks started increasing their lending rates. The bank added that available information to September 2018 showed a slight narrowing in commercial bank interest spreads (difference between lending and borrowing rates) since the repo rate increase. Consumer lending did increase 7.1 per cent year-on-year in October, but lending to businesses contracted by 1.3 per cent, reversing a trend from the start of the year. 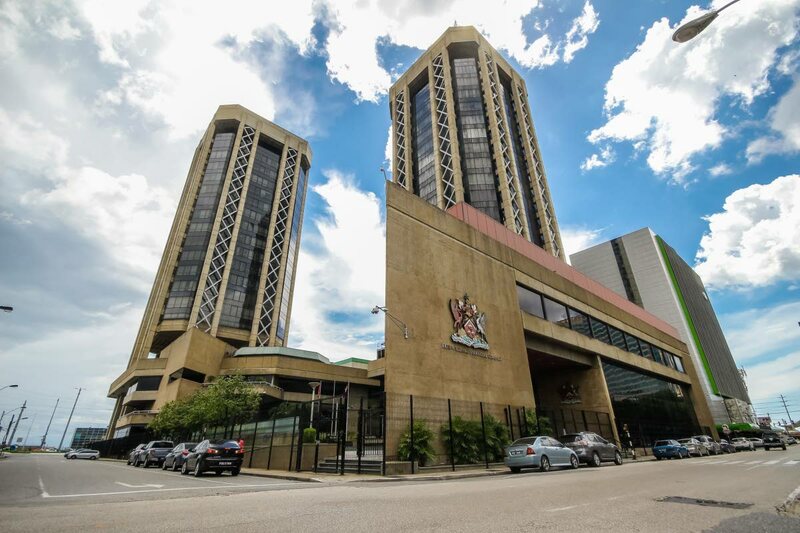 “The Monetary Policy Committee (MPC) considered carefully the implications of international financial developments and prospects for Trinidad and Tobago’s external balances. At the same time, it noted that the domestic growth momentum appeared to have slackened in the third quarter while inflation remained very low,” the bank said. The next monetary policy announcement is expected at the end of March next year. The monetary policy announcement indicates that the economy continues to be in a troubled state and raises much more questions, said senior economist and head of the UWI Department of Economics, Dr Roger Hosein. Hosein had three main takeaways from the report. “When will we learn that volatility in the energy sector slows down the economy as a whole? We need to establish a block of interventions that promotes the non-energy export sector in particular to benefit from sustainable long term economic growth,” he said. Regarding inflation, he added that while the rate may be low, there are other aspects of the economy that require attention, including rising unemployment, rising external debt, the “disturbingly high” murder rate and worsening trends in ease of doing business and other rankings. The high proportion of government expenditure towards transfers and subsidies has to be more prudently managed, he said. Reply to "Tough new year"